A radical and life-changing experience of spiritual transformation acted as the catalyst for the emergence of the Quaker movement. For those involved this appeared to be a replaying of Pentecost when the Holy Spirit was poured out on the apostles establishing a church guided by the presence of the risen Christ (Dobbs 1995, p.2). A dramatic experience of Christ appearing in their midst convinced early Friends that the true church was reappearing after centuries of apostasy (Wilcox 1995, p.3) and many Quakers saw these conversions in terms of Paul’s dramatic encounter with the risen Christ on the road to Damascus (Damrosch 1996, p.108). The revelation of Christ brought a spiritual crisis in which the sinful and apostate heart was condemned (Wilcox 1995, p.79) and a sense of joyful liberation was achieved. Everything that is distinctive about the Quaker way developed out of a response to this experience and the efforts of early Friends to make sense of it. So, Fox’s epiphanies point to an early Quaker movement that was both Pentecostal and apocalyptic in character. It was Pentecostal in the sense that it was founded on a transformational experience of the Spirit of Christ as inward teacher, priest, prophet and king. It was apocalyptic because this experience convinced early Friends that God was acting decisively in their time to overcome evil and establish the kingdom of heaven. A key aspect of early Quaker understanding is the belief that the coming of Christ has brought a new covenant (a new relationship between God and humanity) in which the immediate presence of Christ in Spirit has replaced the outwardly mediated ways in which God related to humanity in the old covenant. In the old covenant God’s presence was to be found in a temple made of stone (The Temple in Jerusalem) and access to God was mediated through a human priesthood (the Aaronic priesthood). The people of God were led by human leaders (e.g. Moses) and God’s law (the Ten Commandments) was written on stone. In the new covenant Christ ‘fulfils all these outward and mediated forms inwardly and spiritually. He is the spiritual substance of the old outward covenant. Christ is the eternal high priest who offers everyone access to God. As a result, God may now dwell in a temple made of living stone (the human body). Christ has become the inward and spiritual leader of God’s people and he writes God’s law on their hearts (Jeremiah 31:31-34). The early Quakers believed that the primitive Christianity of the Apostles was the life of a gathered community taught directly by the risen Christ (Gwyn 1986, p.36). They therefore believed that the true function of preaching was to enable people to hear Christ’s voice within them. When this was achieved there was no longer any need for human teachers (Wilcox 1995, p.38). Such a view had far-reaching consequences for Quaker practice and for the Quaker relationship with other Christian groups. Based on the fulfilment of Joel’s prophesy at Pentecost (Acts 2:1-21) early Friends believed that the Spirit of Christ might speak and act through anyone regardless of gender, age, education or social standing. This was particularly significant in terms of the freedom it conferred on Quaker women to fulfil the roles of prophet, preacher and minister by the direct call of the Spirit. The observation of days, months, feasts etc. The Pentecostal nature of the early Quaker movement was seen in the charismatic behaviour of its adherents. Rosemary Moore has argued that more than anything else it was the charismatic nature of their early worship that distinguished Quakers from other radical sects with which they shared many ideas (Moore 2000, p.75). Douglas Gwyn has noted that early Quaker worship was “strongly emotional, filled with dread, punctuated with inchoate sounds of sobbing, groaning, sighing and impromptu singing” (Gwyn 2006, p.122). The most enduring legacy of this charismatic behaviour was the name given to to the movement ‘in scorn’. The quaking and trembling that gave Quakers their name was the result of their inward spiritual experience (Barbour 1964, p.99). For early Friends Quaking represented a decisive manifestation of the prophetic power described in the Bible (Damrosch 1996, p.34). God’s presence in worship was not revealed through human speech but rather through quaking (Moore 2000, p.144). Another effect of the Pentecostal outpouring of the Spirit in the early Quaker movement was the performing of signs and wonders including healings (Dobbs 1995, p.47). Fox and early Friends believed that miracles were a product of being in harmony with the whole of creation so that inner fruitfulness produced outer fruitfulness (Damrosch 1996, p.157). Fox in particular was seen to have healing powers and accounts of his healings were carefully recorded even if they were later suppressed when Quakers wanted to play down the ‘enthusiasm’ of the early movement. Having rejected all outward ceremony and liturgy, the prophetic sign, based on the model of the Hebrew prophets became one of the principle means for early Friends to express their inward spiritual experiences externally. Examples of this include ‘going naked as a sign’ and James Nayler’s infamous re-enactment in 1656 at Bristol of Jesus entry into Jerusalem. The Quaker proclamation of the existence of a new covenant in which ‘Christ is come to teach his people himself’ became a significant threat to existing forms of social stratification and inequality. In particular, the idea that the Spirit was no respecter of persons and that Christ might speak through whomsoever he chooses (Dobbs 1995, p.126) represented an assault on the power and authority of the religious elites who had been trained at Oxford and Cambridge. Quakers argues that gifts and roles came by the call of the Spirit rather than by the authority of a human institution (Dobbs 1995, p.130). The idea that Christ is just as likely to speak through a woman, a child or a farm labourer as he was to work through a bishop or a parish priest was a scandal to those in positions of power and authority. Perhaps the most radical aspect of this spiritual egalitarianism was the freedom it afforded women to be prophets and ministers within the Early Quaker movement. The Friends argued that the spirit had been poured out on all flesh and since Christ was restoring men and women to a pre-fall perfection in this life, there could be no restrictions placed on the ministry of regenerated women (Wilcox 1995, p.155). Fox consistently argued that gender divisions were an aspect of the fall reversed by Christ (Dobbs 1995, p.114). Men and women had been created jointly in the image of God and Christ could restore them into God’s image again (Wilcox 1995, p.162). The main aspects of Quaker testimony that revealed themselves in the 1650s were Refusal to pay tithes (and conform to the established church generally), the refusal of oaths, the refusal of hat honour, titles and other forms of deference to ‘social superiors’ and the rejection of special times and seasons. 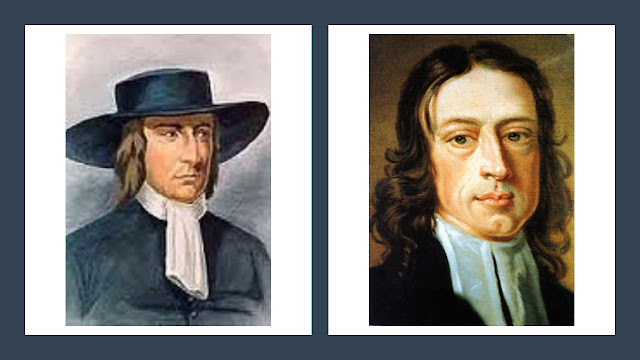 Overall, however, it is important to recognise that becoming Quaker in the 17th century led to a fundamental transformation of behavior, appearance and life-style that would have been immediately obvious to everyone around them. Their whole lives were their testimony. During 1650s the emerging Quaker movement launched an extremely assertive but nonviolent spiritual campaign which has become known as the Lamb’s War. This involved an unrelenting assault on evil within the world and on what early Friends regarded as apostate Christianity. This campaign will be dealt with in more details in the section on the ‘The Lamb’s War – Nonviolent Apocalypse’. 1When the day of Pentecost had come, they were all together in one place. 2 And suddenly from heaven there came a sound like the rush of a violent wind, and it filled the entire house where they were sitting. 3 Divided tongues, as of fire, appeared among them, and a tongue rested on each of them. 4 All of them were filled with the Holy Spirit and began to speak in other languages, as the Spirit gave them ability. Very inspiring stuff. Interested that you quote Hebrews 1:1-2 in your Biblical references; I see this as an encapsulation of an Anabaptist hermeneutic, in which the Son becomes the key to the understanding of all other scriptures, not just in the sense of finding prefigurations of Christ in the other scriptures, but in the sense that God's revelation in Jesus relativizes all other revelation, i.e. it no longer has any authority independent of his authority. Thank you Veronica. Yes, I think that the Christocentric approach highlighted by Hebrews 1:1-2 is something that Anabaptists and Quakers share in common. Friends would generally give a higher priority than most Anabaptists to the idea that God continues to speak to us directly by his Son in Spirit over and above the witness of scripture.